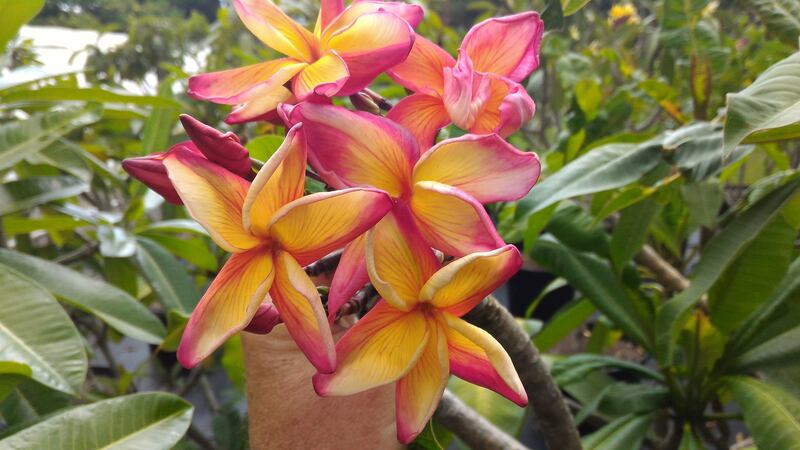 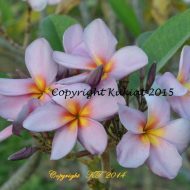 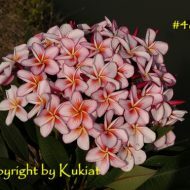 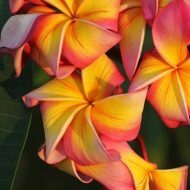 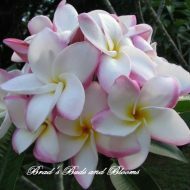 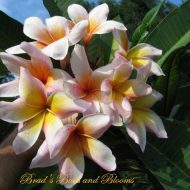 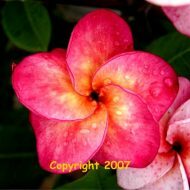 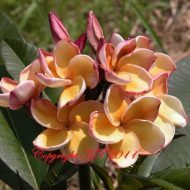 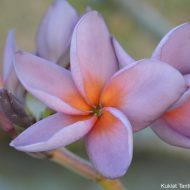 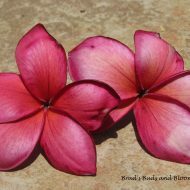 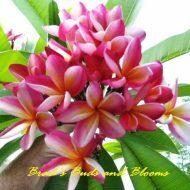 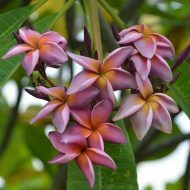 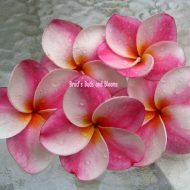 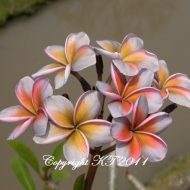 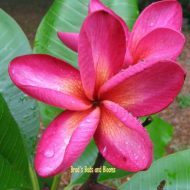 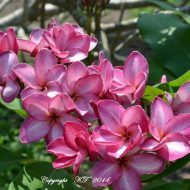 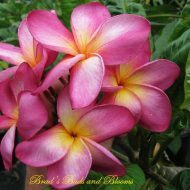 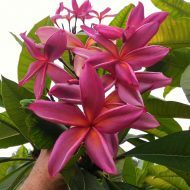 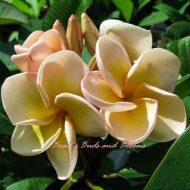 This is a stunning plumeria with large, 4 inch blooms of gold streaked with orange and red. 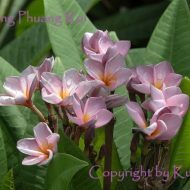 The flowers have very wide petals and their shape is reminiscent of a butterly. 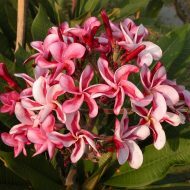 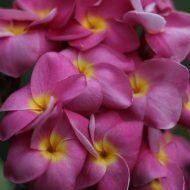 Flowers have a mild sweet scent. 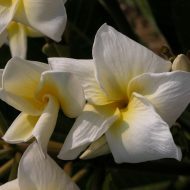 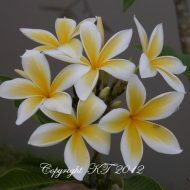 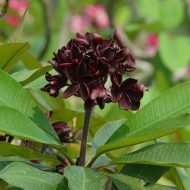 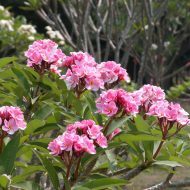 This is one of the most popular varieties from Thailand to date. 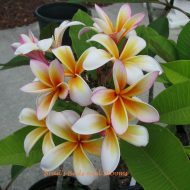 Rooted plants (not grafted)—- 10-16″ tall, measured from the soil line.